Yesterday I attended a meeting in Bismarck. This trip, I was a passenger and I left the flying duties to Chad, a flight instructor and head of our flight standards department in North Dakota Civil Air Patrol. The sun was behind us, still low in the sky, when we departed Fargo early in the morning aboard a Cessna 182. Reflected on the clouds ahead of us, we saw a circular rainbow. 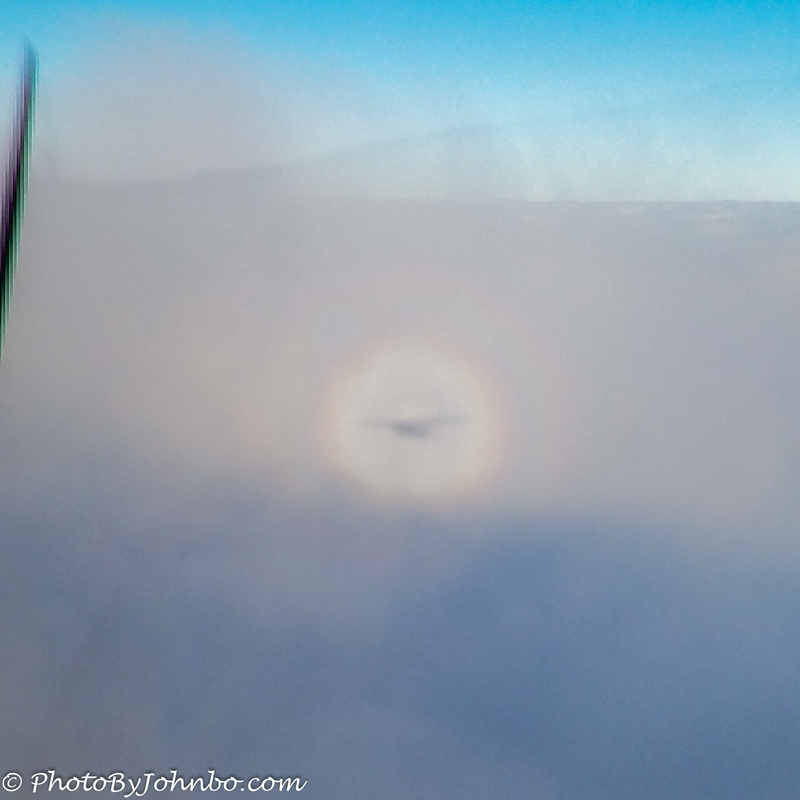 Over my two decades of flying, I’ve seen a few circular rainbows reflected on clouds below us. We were on an instrument flight plan which allowed us to remain at our altitude and fly through any clouds that happened to rise above our flight level. As we approached one of these higher cloud layers, I saw something I’d never seen before. 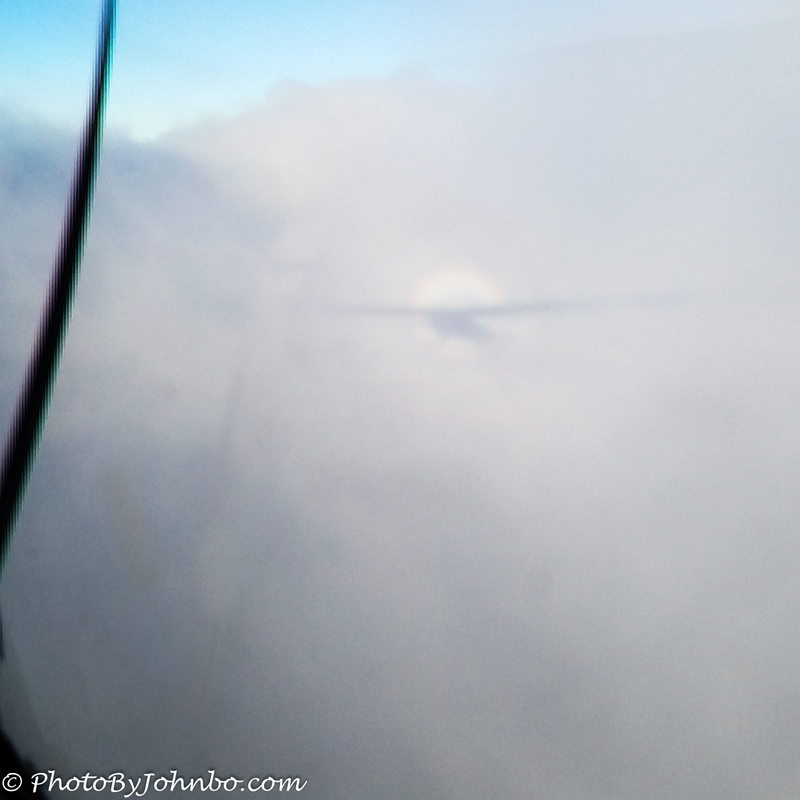 We could clearly see the shadow of our aircraft on the cloud directly in the center of the circle. The closer we got to the vertical wall of the cloud bank, the larger our shadow became until a fleeting moment just past this point when we disappeared into the cloud. The rainbow circle didn’t change in size, only the shadow of the aircraft. The first appearance of the rainbow circle was when the cloud deck was lower. The further west we flew, the higher the deck. We stayed at the same 6000 feet for the duration of this photo set. 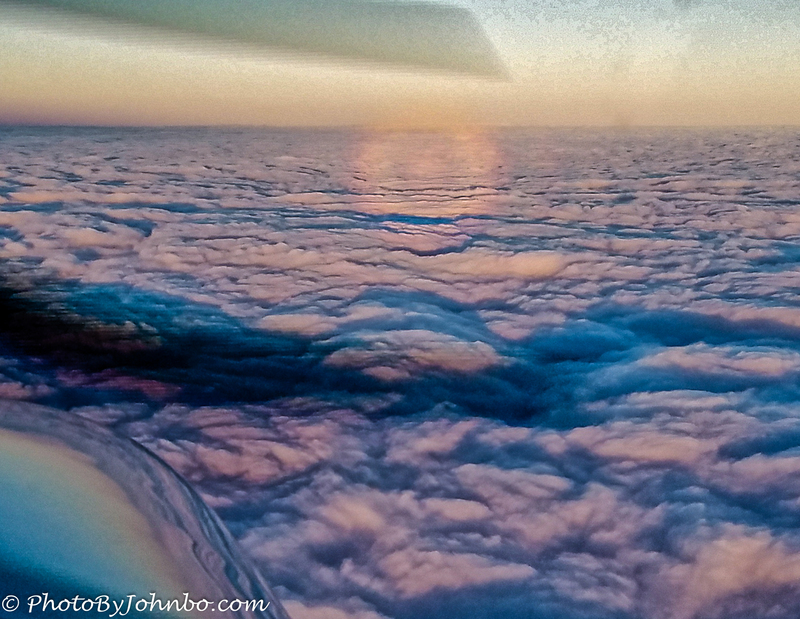 Though the circle in the photo appears vertical, it was reflecting on the horizontal layer of clouds below us. I increased the saturation of the image to more clearly show the rainbow circle in this shot. In “real life”, the circle was only slightly more intense than the surrounding cloud layer. The dark bands are artifacts created on the camera sensor by the spinning propeller. These images were captured on my Samsung S7 cell phone. The rule for Cellpic Sunday is simple, the image must be captured on a mobile device. I’ve never seen this, John, nor heard of them. Thanks for the pics. Very cool.